Sentiment classification has become a ubiquitous enabling technology in the Twittersphere, since classifying tweets according to the sentiment they convey towards a given entity (be it a product, a person, a political party, or a policy) has many applications in political science, social science, market research, and many others. In this paper, we contend that most previous studies dealing with tweet sentiment classification (TSC) use a suboptimal approach. The reason is that the final goal of most such studies is not estimating the class label (e.g., Positive, Negative, or Neutral) of individual tweets, but estimating the relative frequency (a.k.a. “prevalence”) of the different classes in the dataset. The latter task is called quantification, and recent research has convincingly shown that it should be tackled as a task of its own, using learning algorithms and evaluation measures different from those used for classification. In this paper, we show (by carrying out experiments using two learners, seven quantification-specific algorithms, and 11 TSC datasets) that using quantification-specific algorithms produces substantially better class frequency estimates than a state-of-the-art classification-oriented algorithm routinely used in TSC. We thus argue that researchers interested in tweet sentiment prevalence should switch to quantification-specific (instead of classification-specific) learning algorithms and evaluation measures. 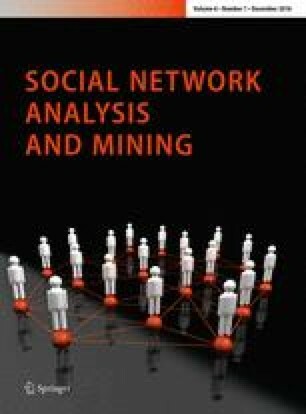 This is an extended version of a paper with the title “Tweet Sentiment: From Classification to Quantification” which appears in the Proceedings of the 6th ACM/IEEE International Conference on Advances in Social Networks Analysis and Mining (ASONAM 2015). Fabrizio Sebastiani is on leave from Consiglio Nazionale delle Ricerche, Italy. We are grateful to Chih-Chung Chang and Chih-Jen Lin for making LIBSVM available, to Rong-En Fan and colleagues for making LIBLINEAR available, to Thorsten Joachims for making SVM-perf available, to Andrea Esuli for making available the code for obtaining SVM(KLD) from SVM-perf, to José Barranquero for making available the code for obtaining SVM(Q) from SVM-perf, to Shuai Li for pointing out a small mistake in a previous version, and to Carlos Castillo for several pointers to the literature.